Growing up, plenty of values were instilled into our minds of being grateful and giving back to our community. Whether it’s through planting one extra tree in our country, or teaching a child how to read, giving back is important and it’s something every human is responsible for. Though, whenever volunteering is brought up, the most common organisations that come to mind are pet shelters like SPCA and PAWS. So, why not take one day or two out of your week and spend some time volunteering at these places that need the extra hands? Here are 10 NGOs you could volunteer at that aren’t the most commonly mentioned. 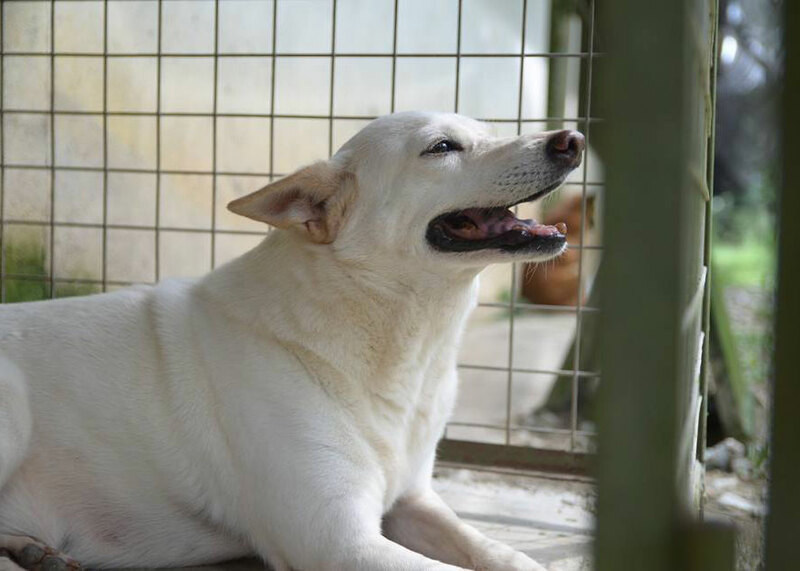 Hosting 500 fur kids, this animal shelter in Hulu Langat believes that every stray deserves a second chance at life. Wholly run by a team of committed volunteers, they rescue and rehabilitate stray cats and dogs with their no-kill-policy. Task: Brighten up the animals’ temporary homes by painting kennels. Bring: 1 tin x 5 litre Nippon Metal Gross Paint (color: Crystal Mint, color code 1222), 1” paint brushes & 1 tin x 3 litre thinner. Task: Clean up the shelter’s compound by washing pet kennels, clearing drains, and tidying up the overall space of the compound. Bring: Hard brooms, soap powder, Clorox, dishwashing paste, and anti-bacterial hand wash. Task: Give their dogs a scrub by shampooing and applying flea-wash.
Bring: Pet Medical shampoo, saline solution, and cotton buds. Should I make a booking? SCAS is open from 11am to 3pm every day and are accepting help from groups of up to 40 people. Please make a booking with them at least 2 weeks in advance. Volunteers are advised to bring their own lunch, a change of clothes, and a towel to dry off. Volunteers are advised to dress in comfortable attire for physical activities. Depending on the chosen job, the list of items you should prepare are as stated above. If you are unable to volunteer your time, the shelter is also in need of donations. Their wish list includes cash donation, kibble and canned pet food, rice, cleaning agents and pet shampoo. Location: Pekan Batu 14, Hulu Langat, Selangor, Malaysia. The Assumption Soup Kitchen feeds approximately 500 underprivileged people twice a week. On top of packing and distributing 440 packets of food to designated areas, they also feed the hungry from 11.30 am to 1.30pm in-house, at the Assumption Family House. Volunteers will help in preparing and packing 440 individual portions of food. They will then be served to the needy at the Assumption Family House. Dishes are all served on reusable plates and metal cutlery, so volunteers are encouraged to help with the clean up. They conduct their services on Mondays and Wednesdays. Food preparation begins as early as 7am and cleaning finishes at 2.30pm. If you’re coming alone or as a pair, a heads up 2 to 3 days prior is ideal. However, groups with up to 6 pax should inform them one week in advance, as the kitchen is small and may overcrowd. Everything you need will be provided by the kitchen staff, although some volunteers do bring their own aprons as they please. Wearing closed toed shoes are preferred. Volunteers are also welcome to have a meal at the end of the assignment. If you are unable to volunteer your time to help out, the team is also in need of donations whether food or financial to keep themselves operating. Tasks: Ingredient preparation, cleaning, serving, and packing food. Location: Assumptions Family House, No. 1, Jalan 4/52B, 46050, Petaling Jaya, Selangor, Malaysia. The De Luxe Retirement Home opened its doors to the retired community in 2000. Run by a family, they have been providing quality nursing care with their in-house doctors and medically trained caregivers. Spend the day with some of the elderly folks at the home by playing card or board games, chatting about life, enjoying music together, and join in on their daily activities as residents. The nursing home is open to the public on Mondays to Fridays from 11am to 3pm, as weekends are reserved for family bonding time with the folks. Come in smaller groups (5 and below) for each home, as the elderly folks are more receptive towards visitors in a less formal setting. Please do inform the Managing Director, Dr. Goh a few days prior to visiting. If you would like to bring a present or gift, do ask the Managing Director for the residents’ ‘wish list’. Tasks: Entertaining and bonding with the residents. Location: 33-35, Jalan SS 3/39, Taman Universiti, 47300 Petaling Jaya, Selangor, Malaysia. 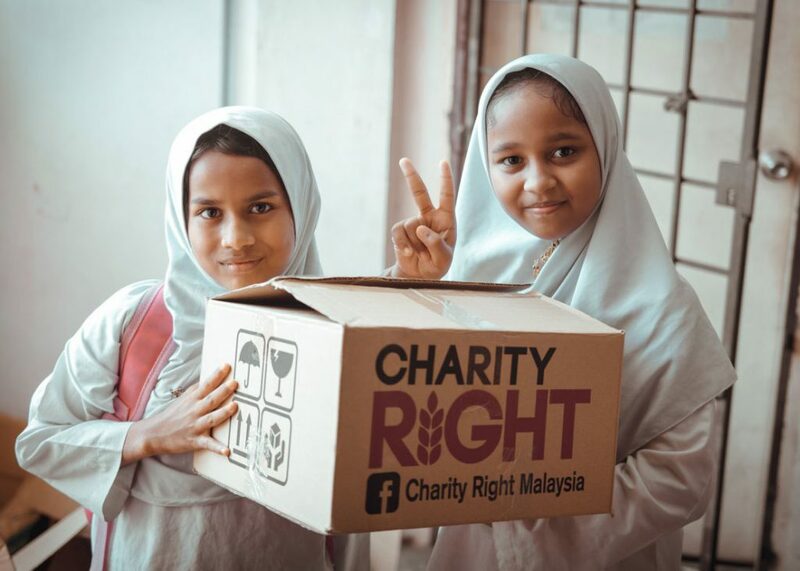 Charity Right is an initiative started by Mercy Mission Malaysian back in 2012. They provide at least 1000 children and families with a steady source of meals, this is so the kids won’t have to carry the burden of supporting their families and leave school prematurely. Volunteers play their part in customising food boxes consisting of basic raw products curated by nutritionists. Brainstorming and tutoring activities will be held depending on availability, as the kids maintain the regular schedule of public schools. Volunteers can also participate in some of the organisation’s outdoor trips and sessions to create a strong bond between beneficiaries. Operating hours are from 9am to 6pm daily. Volunteers are encouraged to spend 2 to 3 hours conducting their activities. The organisation is responsible for assigning groups to orphanages and schools depending on the number of volunteers. They do not limit the number of people in a group, however, please do inform on your planned visit at least 2 weeks in advance. The organisation is open to volunteers coming up with their own creative and fun tutoring activities. Hence, do provide them with a plan of action when making your arrangement to visit. Monetary compensations are encouraged, as it will help the charity tackle malnutrition in children, lighten the burden of underprivileged families, and motivate kids to attend school regularly. Tasks: Packing boxes of food, teaching and brainstorming with children. Location: A-3-1 & A-3-2 Dataran Cascades, Jalan PJU 5/1, Kota Damansara, 47810 Petaling Jaya, Selangor. It’s not easy running a cat shelter. 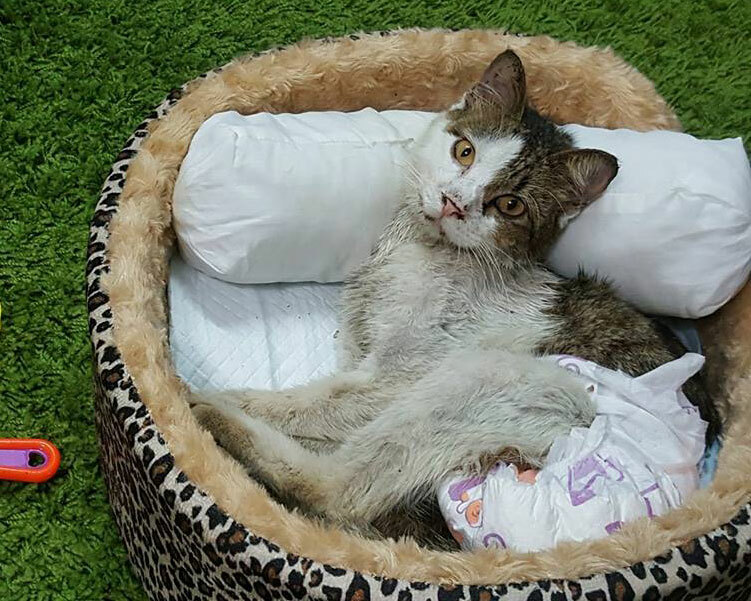 Home to over 500 cats and 12 dogs in need of medical attention, Razeef and his team nurse sick kittens, rehabilitate strays, and go through the motions of taking care of these cats every single day. In addition to playing with the cats, volunteers will also be cleaning up the compound of the shelter, assisting with feeding and medicine administration. If you are artsy and experienced in hand painting murals, you can also help by beautifying the walls of the sanctuary. They are open to volunteers everyday. Starting from 10am, volunteers are required to spend at least 3 to 6 hours of their time to help the shelters’ team complete their daily tasks. Groups should not exceed 20 pax and must inform on their visit at least 3 days prior. The shelter provides all cleaning materials, but do bring your own face masks and gloves if you are a little iffy about touching kitty litter. If you are keen on painting the shelters’ walls, bring your own art supplies. Comfortable attire is recommended, though nothing too short or revealing. The pet sanctuary is also open to receiving cash donations, pet food (preferred brands are Powercat or Button and Bows), old newspapers, old towels, and floor cleaner. Tasks: Cleaning, painting murals, and playing with pets. The Pertiwi group serves and helps 450 to 600 people in need of food and basic medical care in the homeless and urban poor communities of KL. They are a community outreach effort who conduct their noble ventures 4 days a week, assisting both students and corporates in their community work by volunteering with them. Volunteers will be assisting the Pertiwi group through their Soup Kitchen and Health Services at their locations, Lorong Medan Tuanku 2, and Jalan Hang Lekiu in KL. Task: Crowd control, serving food and drinks to the hungry queue with a smile. Bring: Have snacks on hand in case you get hungry on the job. Avoid bringing cooked meals as food handling issues may arise. Task: Assist their dedicated team of doctors in providing basic medical services to the needy. The NGO goes out every Sunday, Monday, Wednesday and Friday from 9pm to 11pm. A prior booking is required and volunteers can help on a first come first serve basis. They recommend that volunteers pack as light as possible and be free of backpacks or handbags. Wear comfortable shoes as long hours of standing is involved. Children are also encouraged to join the initiative! It is also customary for volunteers to go for dinner together after assisting. If you are unable to contribute time on any of their distribution days, the public may contribute rice, sugar, cooking oil, biscuits, packet drinks or funds. 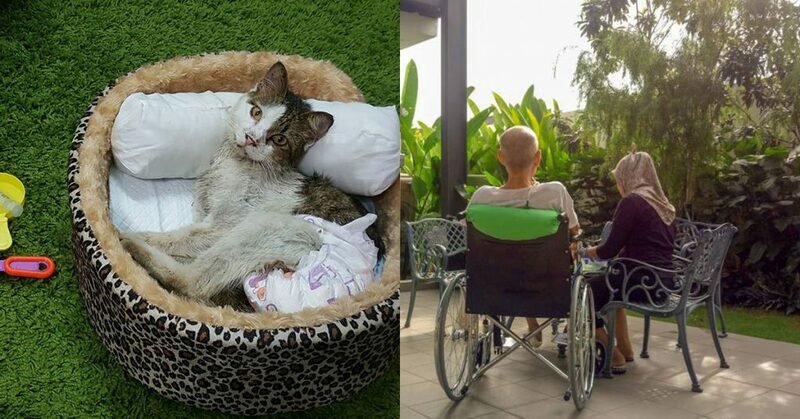 Location: Medan Tuanku Feeding Centre, Lorong Medan Tuanku 2, Kuala Lumpur. My Aged Care is a bungalow-style retirement home that takes pride in their nursing staff and cosy environment for elder folks. 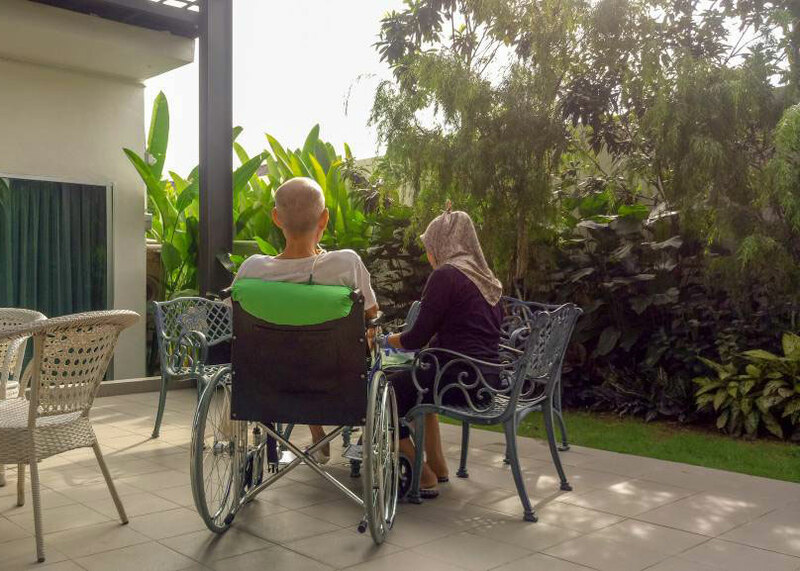 They have a total of 3 branches in Petaling Jaya and another in Ipoh, hosting no more than 15 residents in each home for maximum care and comfort. Volunteers are encouraged to plan their own programs and activities for the elders. 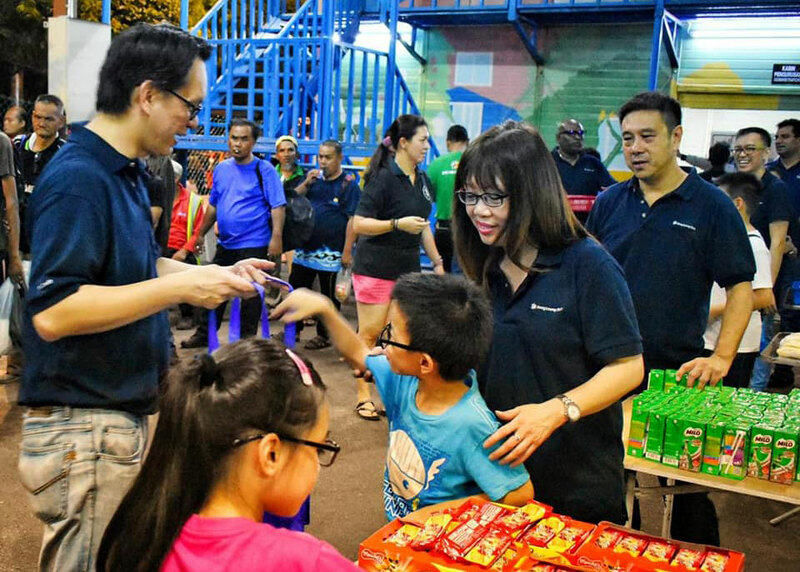 However, volunteers can also participate in the home’s regular routines which includes playing board games, seated zumba, colouring, caroling, and gotong-royong around the house. Visiting hours are from 9am to 9pm. However, if you are keen on helping with showering the residents, coming as early as 7.30am is also welcome. Groups under 15 are ideal as not to overcrowd the homes and maintaining peace amongst the residents. Please do write an email including details of your volunteering purpose, programme ideas, and number of participants to Sales & Marketing Executive, Elean. The home encourages volunteers to plan activities that elders can participate in. You can also bring some light refreshments for a friendly sit down tea session with the residents. Cleaning equipment is limited so do bring your own that you don’t mind donating after using. Feel free to bring along your musical instruments like guitars during sing-song sessions! Appropriate attire should also be considered as clothes may get wet during certain gotong-royong tasks. Tasks: Interacting with the elderly and gotong-royong. My Manor – 27, Jalan Taman 7/6, 46050 Petaling Jaya, Selangor. Jalan Assunta – 9 Jalan Assunta 4/52, 46050 Petaling Jaya, Selangor. PJ Old Town – 25, Jalan Othman, PJS 4, 46000 Petaling Jaya, Selangor, Malaysia, 46000 Petaling Jaya. Yayasan Generasi Gemilang (GG) provides under-served children and their families access to quality education as a means of basic needs. Started in 2008, the non-profit organisation aims to positively impact the lives in Malaysia regardless of race, religion or background. The range of activities offered can be found on their list of Weekday Volunteering and Weekend Volunteering programmes. Single session projects can range from 3 to 5 hours consisting of leadership workshops and talks with the children. If you are looking to volunteer for more than just one day, recurring sessions are also offered. These are highly favoured so the kids are able to build an attachment and relationship with the volunteers. No formal education is required to participate in these programmes, as a Volunteer Orientation will be conducted to prepare you for the job. Anyone 13 years and above are welcome to participate! The Weekday Volunteering programmes are available from 9am to 5pm from Mondays to Fridays, while the Weekend Volunteering programmes are open from 9am to 2pm on Saturdays and Sundays. There is no limited number of people that can come in a group. Volunteers are required to register online and await their confirmation email. All materials will be provided no matter the task chosen. Volunteers will also go through a mandatory briefing and debriefing before and after the tasks. 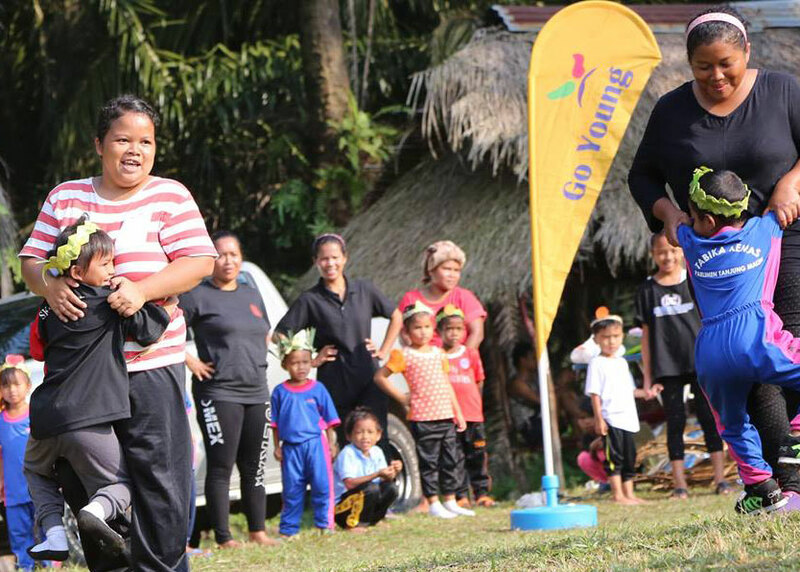 Generasi Gemilang is open to collaborating with student initiatives in raising funds for their causes. They are also accepting donations for child-related supplies with their partnered children’s homes. Some of these supplies include baby powder and baby eczema cream. Do contact the organisation to ask for their specific wish list. Tasks: Education services and mentoring children. Location: 82A-1 Jalan PJU 1/3b, Sunway Mas Commercial Center, 47301 Petaling Jaya, Selangor. The Malaysian Nature Society (MNS) strives to promote the rich nature and heritage that makes up our country. 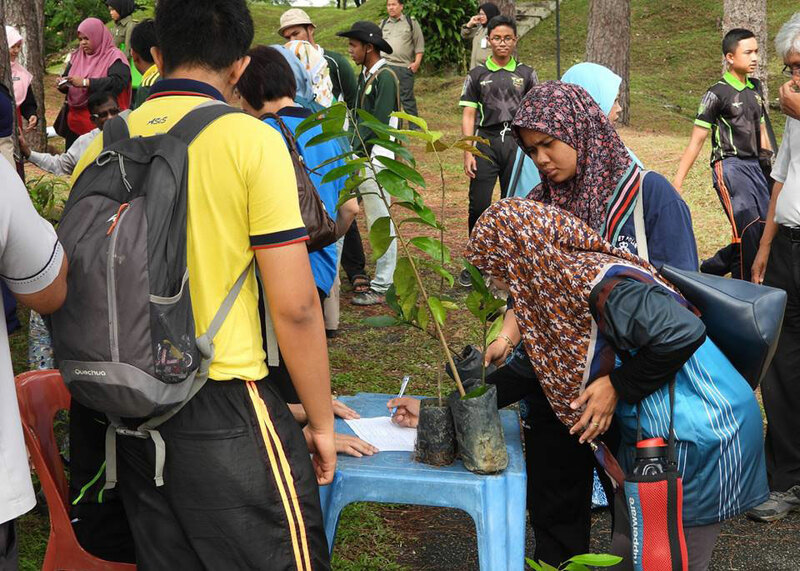 They are a non-profit organisation and member driven, run by a total of 40 dedicated staff who educate and protect Malaysia’s environment with their strategic programmes. Task: Plant seeds that will grow into trees while going on a nature walk at the MNS’s Community Forest. Bring: Gardening supplies and gloves. Task: This hands on experience includes nursery maintenance and weed clearing at the Kuala Selangor Nature Park. The programmes listed above operates every Monday to Friday from 9am to 5pm (UCF is also available on Saturdays, from 9.30am to 12pm). Dropping them an email to the address of your chosen task at least 2 weeks in advance is required. Gardening tools and cleaning supplies are supplied during the volunteership by the organisation, though contributing any of these materials will also be helpful to them. Proper attire for rough outdoor work is necessary. Monetary donations through annual or monthly pledges will help the non-profit organisation sustain their funds. They are also open to receiving local plants or seeds from local fruit trees that can be dropped off in a box outside of the UCF resource center. Location: JKR 641, Jalan Kelantan, Bukit Persekutuan, 50480 Kuala Lumpur, Malaysia. 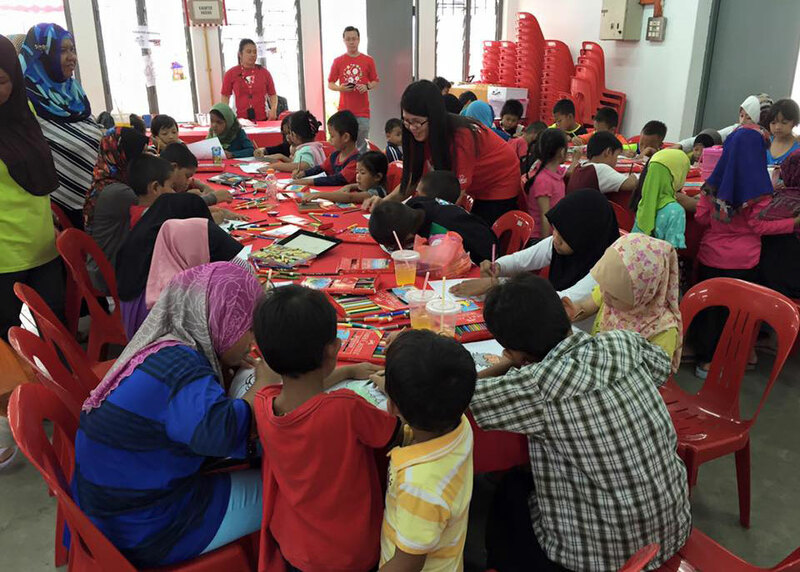 The Persatuan Kebajikan Suara Kanak-Kanak Malaysia (SUKA Society) aspires to empower and protect children in crisis situations, such as a trafficked child or child in detention. The organisation creates a safe space for these children to have a better life and education. Volunteers are expected to teach English or Mathematics to the Unaccompanied & Separated children under the organisation’s Case Management programme. Volunteers may also be assigned in running therapeutic sessions with trafficked women and girls in protection shelters. General operations are open from 10am to 5.30pm on weekdays. There is no limitation for group size. Registration is required on their website. Briefings will be conducted specific to the tasks assigned. The English and Mathematics teaching programmes are run every Wednesday and Friday from 10am to 12pm. Volunteers are required to commit at least 3 months of their time. Therapeutic sessions for trafficked survivors in the government protection shelter run every Monday, Wednesday, Thursday and Friday. Volunteers are required to commit at least 4 sessions of their time. Not required as the organisation will provide reading and writing materials. The organisation is open to receiving stationery, arts & crafts materials, as well as household and food items for their food banks. Tasks: Education services and therapeutic sessions. Location: No. 13, Jalan Sultan, Bandar Baru Petaling Jaya, 46670 Petaling Jaya, Selangor.